Today I have this set of cards to share. These are easy to make and come together quickly… since only the embellishment varies from one to another. Here are the other variants. And a quick and easy one. Silhouette die cuts for the wreath. And PTI Signature Christmas stamp. 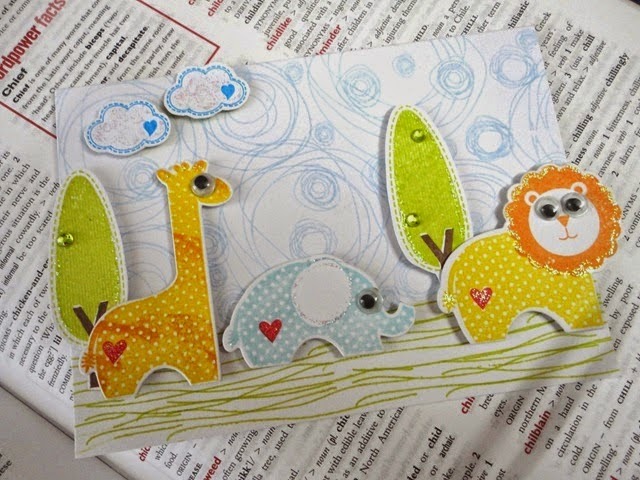 And the whole ensemble on a Clearly Besotted Notepad die cut paper. This thing came together easily. And love the classy effect of all the wonderful elements. The wreath die cut from some paper I’ve had since my Pune days :). 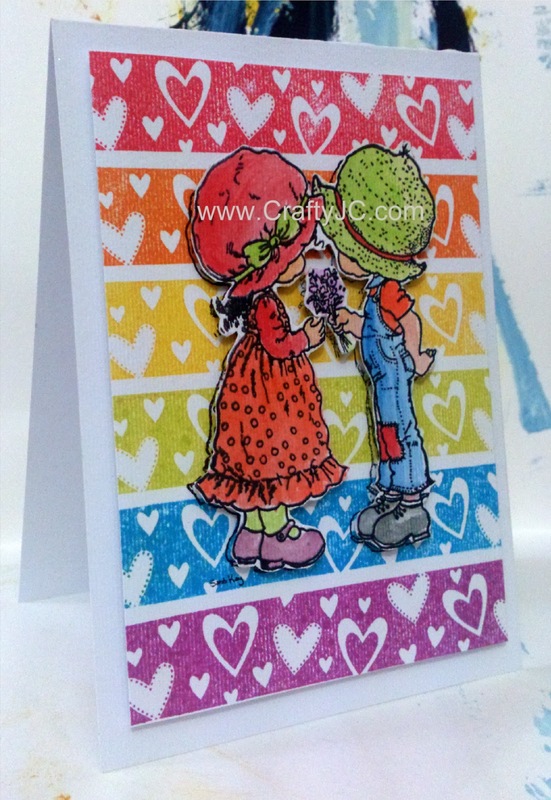 Today’s card is a One Layer collage style card – with a little bit water colouring. Starting today I have a series of Christmas & Holiday cards and others to share with you. 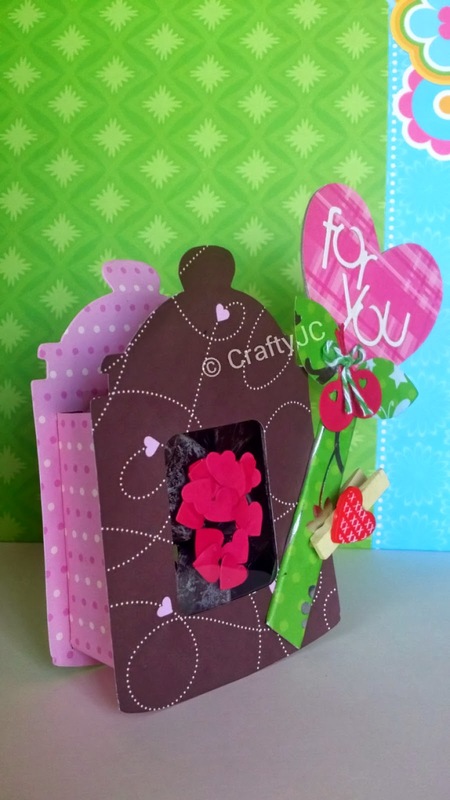 Today’s card is a Papertrey Ink one.. A bunch of stamped poinsettias, fussy cut and layered. The golden magic in the middle is from Pie lane.. I’ve been hoarding this for sometime..and I think it has found it’s home. What I’ve realized is, to get a tidy fussy cut stamped image, leave a bit of white margin as if the stamped image was die cut :) And the mistakes don’t show as much. Do you the slightly splotchy image?? I’ve since then taken a white eraser to it, and it stamps much better. The background is a sheet music stamp, from PTI again. And here is my take on it. My dad’s birthday was around the corner and I made this for him. All supplies linked below. The red and black panel on the left reflects the brick wall, the clock representing a Birthday and the same colour as the hunk’s golden skin, the green backdrop is from the grass and don’t miss the three birds from the lamp posts. And yes, I had to make a one layered card… but the collage-ing is a new one to me. I am so glad I tried the layering-collage effect. I loved making this card. Now, off you go and play along. I can’t wait to drop by and see what you create. I think this inspiration has a lot of potential. I know I would be playing along again. These are perfect for slipping into a lunchbox or a office bag. These measure 3x3 inches and you can write a note on the inside. It is end of the academic and it’s time to show them our gratitude. K is completing her first year in formal schooling. I can’t help but look back in wonder and thanks to God for all the blessings. One of the important and most special blessings being the teachers in K’s ‘Lower K. G.’ (as the children call it). K’s class teachers have been so kind to the children, and us parents too. So, I made these to show our gratitude to the teachers. A small thank you. 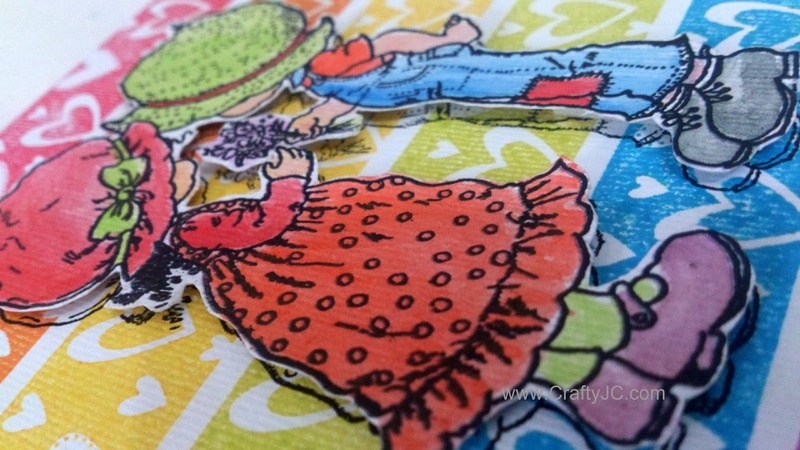 Everything you see here comes from one stamp set - Clearly Besotted Stamps Teacher’s Pet. Love. 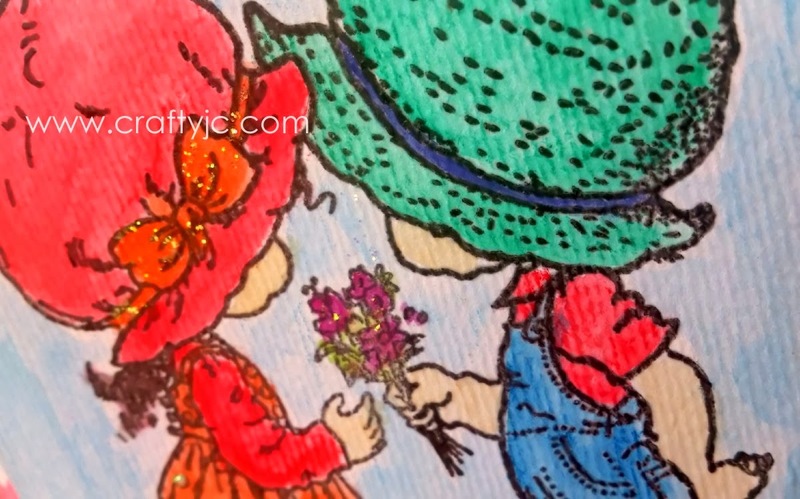 The first card I made is inspired by the sentiment in the stamp set. I made a faux blackboard by stamping the sentiment in white and clear embossing it on black paper. I then framed this using Sizzix Instant Frames (as always everything is linked at the bottom of the post). 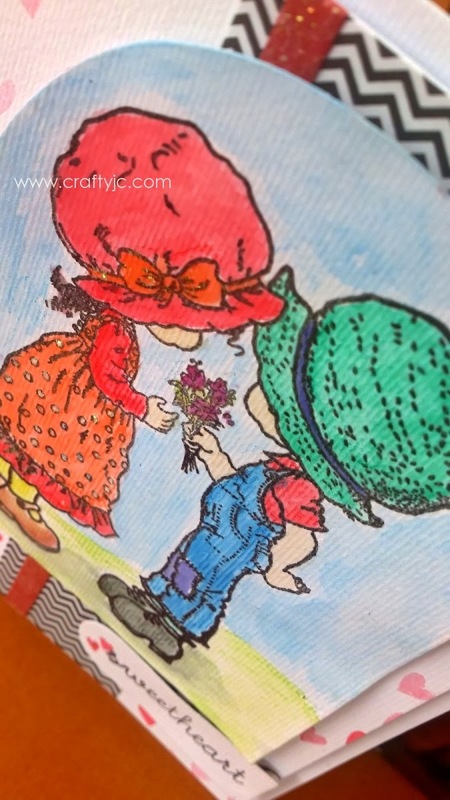 The card’s background is using the Pencil line image which comes along with this stamp set in three different colours. I had great fun aligning all those pencils in different directions. As you can see, I added some glossy accents to the apple. In the next card I used the outline apple images along with the solid ones.. love love the effect. I also stamped and heat embossed in white, the coffee mug. The last one is an ode to water colours. I love water colours. 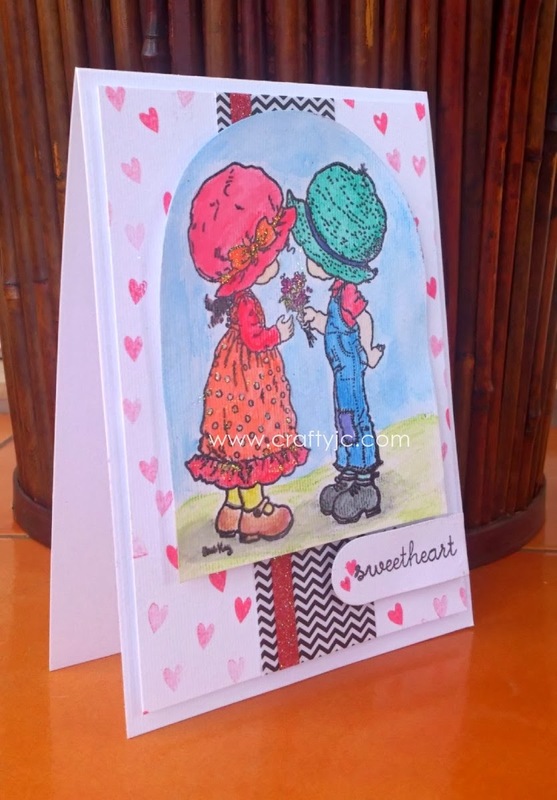 :) I stamped the pencils similar to the first card – but in black.. and went to town with ware colours. Soo much fun. I am leaving this card as is – since I am entering this to Simplicity One layer Challenge – Use Water. And finally - a small fridge magnet (measuring 5.5x5 inches) which will go with the card for each teacher. Made using similar techniques as the first card – but added faux stitching using white gel pen to echo the white dotted lines in the apple. And of course topped the apple with Glossy Accent. Tell him like you mean it!! It was V-day. And I had a gift for the husband. And a card. A really simple card. But I told him everything that needs to be said. I die cut the globe from Chipboard, stuck a heart topped with Glossy Accents and stamped the sentiment. 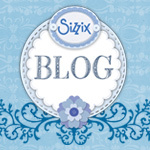 Sizzix - Lovely Doilies. I have a bunch of these red hearts left over from the doilies. Needless to say, the husband was super pleased with the Kindle Paperwhite (from Amazon.in) and the card too. I recently made a multi page card for a lovely girl's 10th birthday. And this is one page of that standing card (thanks Tejal for the tute). The sentiment, I hope, will gently encourage the little girl to bloom to her best .. bloom where God has planted her.. so that she'll be a blessing to everyone. Happy Birthday Jaanu. Well, while it may not be truly possible to put love in a jar, chocolates come real close. Here is a pretty Candy Jar - in this case a Chocolate Jar with this easy to make Sizzix die. The Jar has windows to "see- through" what is inside. 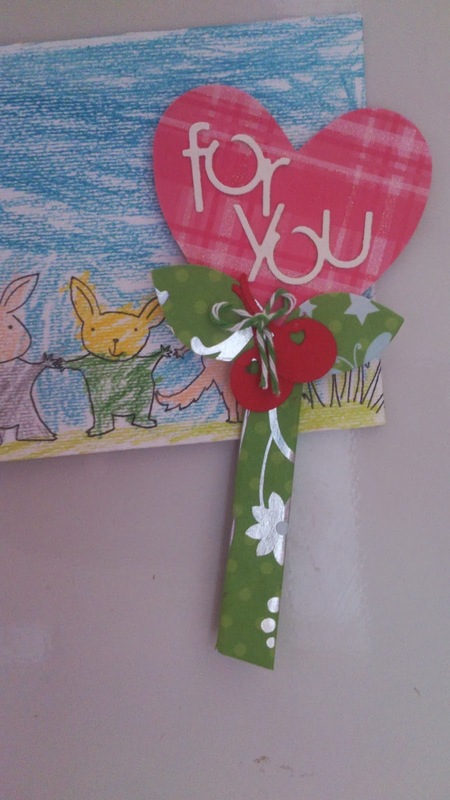 I added the sentiment "For You" and those cute Cherries to the heart and also a piece of Magnet to so that you can pick this Popsicle up and use it on your fridge to hold a photo maybe!! Hope you enjoyed this and thanks for stopping by. 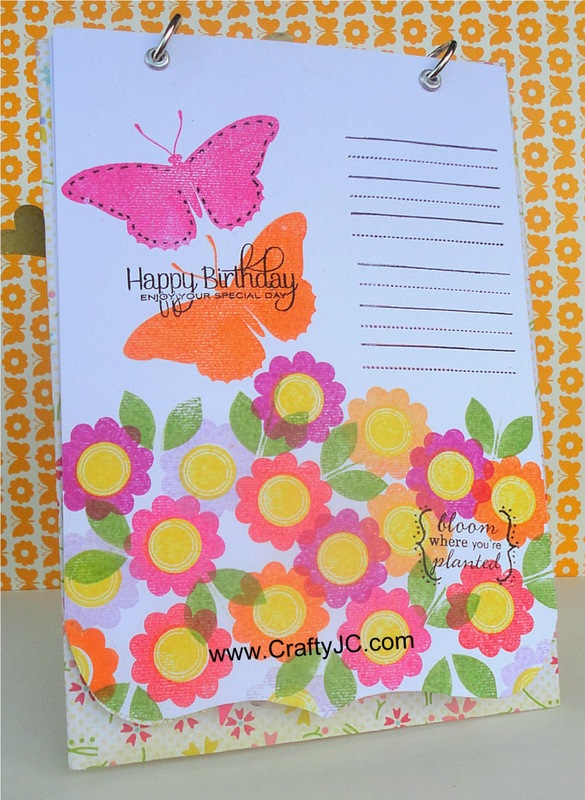 The image was stamped on Fabriano Card stock and die cut the stamped image with Sizzix Rounded Tags die (657568). 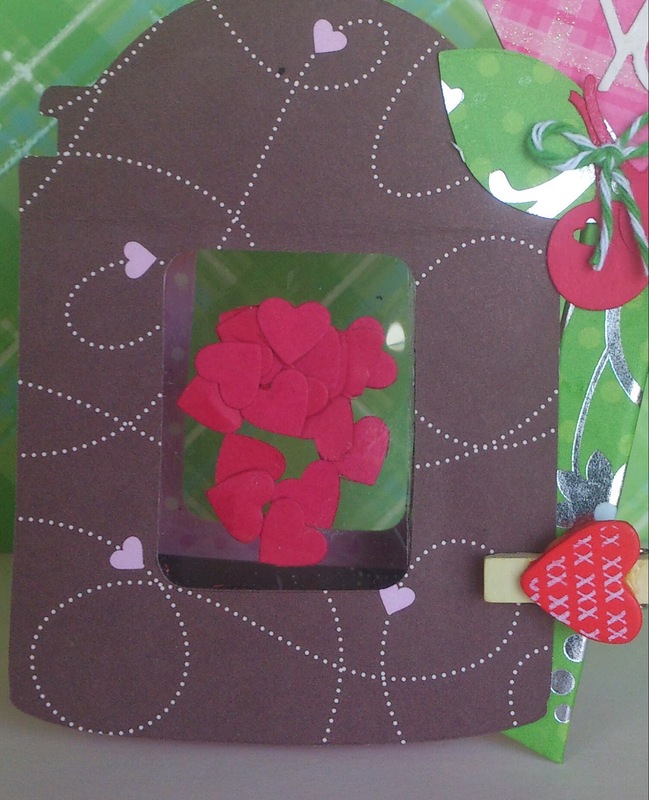 The hearts background is "generation stamped" with the smallest heart from the Papertrey Simple Valentine set. The sentiment (from the same set) was stamped in the smallest of Rounded Tags die set and the image on the largest of the set. Versatile, I say. The smaller ones on the Sizziz tags are perfect for sentiments.